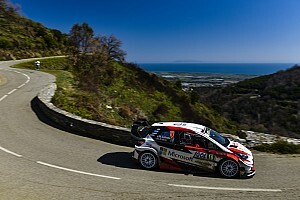 World Rally Championship points leader Ott Tanak kept first place in Tour of Corsica after a dramatic final Friday stage saw rival Elfyn Evans get stuck behind Kris Meeke. Evans had started the afternoon brilliantly, snatching the lead from Toyota driver Tanak on the first stage of the afternoon by 1.4 seconds, and extended his advantage to 4.5s after stage five. However, the M-Sport driver caught Meeke's Toyota on the day’s final stage and lost 10.4s to Tanak to end the day 5.9s off the lead. Meeke had damaged his suspension on the previous stage and although he had managed to repair it, he limped through stage six and did not see Evans behind him. An apologetic Meeke revealed he thought there was a three-minute gap between himself and Evans when starting the stage. Evans’ M-Sport team has requested that the Welshman be given the same stage time as Tanak for the stage. If the request is granted, this would elevate Evans into the rally lead with a 4.5s advantage. For now, Tanak has ended Friday as the rally leader despite battling a damper issue in his Toyota. Thierry Neuville also benefited as he moved up to second in his Hyundai, just 5.3s behind the rally leader with a slender 0.6s cushion over third-placed Evans. 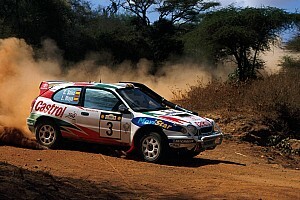 Dani Sordo’s pace dropped in the afternoon, as he lost 14 seconds to teammate Neuville, but the Hyundai driver continued to hold fourth position after a clean loop of stages. 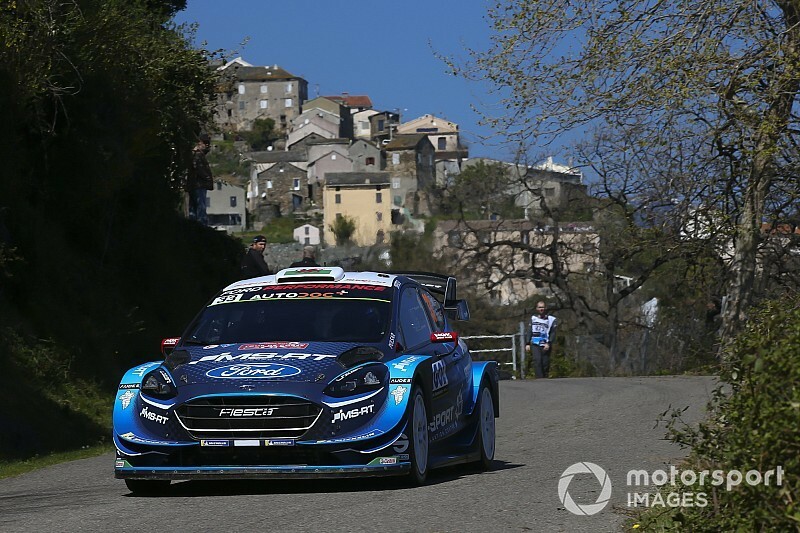 A conflicted Teemu Suninen was trying to find the perfect balance between pushing and keeping his M-Sport Fiesta on the road, and kept his nose clean to end Friday in fifth overall. Sebastien Ogier’s pace improved throughout the afternoon as he climbed from eighth to sixth, but his gains were marginal as he continued to struggle with his Citroen C3. The defending champion began the loop 24.2s down on the lead yet ended it 31.8s back, insisting that he “could not drive his car faster” as he battled with understeer. 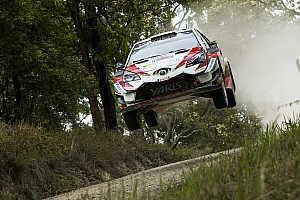 Jari-Matti Latvala’s picked up a slow puncture aboard his Yaris on stage five. The Finn stopped on stage to change the wheel and dropped over three minutes as a result. Sebastien Loeb’s fightback from a broken steering arm this morning continued as he profited from Meeke's and Latvala’s dramas to end the first day eighth overall. Update: Motorsport.com understands the stewards are set to award Evans the same time as rival Tanak through the final stage. This means the Welshman will end the day 4.5s clear of Tanak and 8.8s ahead of Neuville.